When the first 2300° event was held in February of 2000, no one could have possibly imagined what it would become. What started as a gathering of a few hundred glass enthusiasts has grown to include thousands of area residents looking to enjoy a night out filled with great music and incredible glassmaking by world-renowned artists. This Thursday, the Museum celebrates the 100th 2300° event by sticking true to our roots—showcasing the talents of our very own glassmakers. 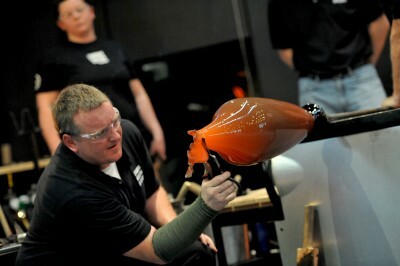 At the first 2300°, Museum glassmaker George Kennard created several large artistic bottles. It was his first year working at the Museum, after doing production work for 10 years, most recently at Vitrix on Market Street. 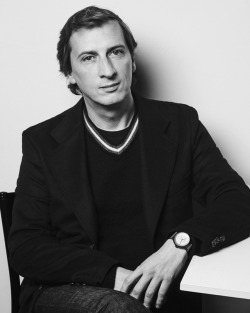 He was heavily involved with programming at The Studio when it opened in 1996. George not only taught glassblowing classes there, but was also awarded the first artist residency, during which time he discovered his love for working on a large scale, creating full-size glass umbrellas. 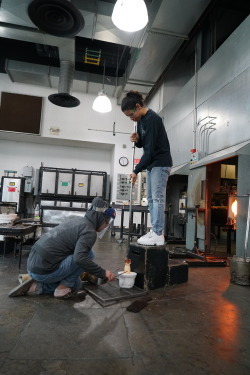 “When I started blowing glass, I never imagined it would end up like this,” said George, who led the teams who created iconic large pieces Museum visitors enjoy each year, such as the giant glass pumpkins and snowmen family. This Thursday, George’s larger-than-life methods will be on display in the new Amphitheater Hot Shop, when he’ll create a massive dragon-stem goblet. 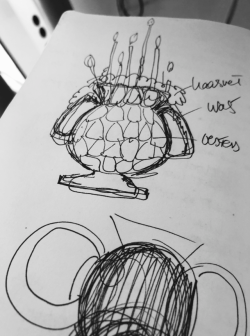 An iconic symbol of Venetian glassmaking, this type of goblet has been created time and time again at the Museum, but George puts a distinct twist on tradition. His 4-foot, 24-pound creation will combine traditional cane work and beautiful reticello detail in the goblet and foot, with a massive stylized dragon that will take the full two-hour demo to create. He will combine the dragon with the pre-made goblet and foot during the live show. George has been the featured artist at a handful of 2300° events, and has worked with the team on stage at nearly 90 of them, he estimates. During that time, the glassblowing spaces have transformed dramatically. George has assisted in making a few pretty wild pieces at 2300° events over the years, including totems made from clay molds in wooden boxes, to a glass didgeridoo, and, most recently, a life-sized child swinging at a piñata. He’s even worked with an artist who had the gaffers use carved gourds as blocks for shaping glass. George creates work for Therman Statom during 2300 in February 2011. 15 years and 100 2300° events later, the glass demos have moved from a tiny stage to the largest space for watching glassblowing demos anywhere in the world. 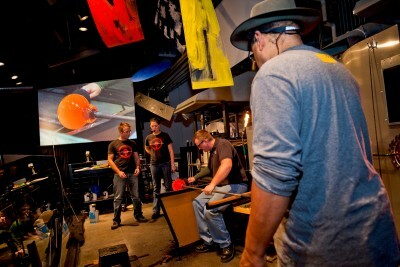 The 500-seat Amphitheater Hot Shop is the ultimate space in which to view the wonder of glassmaking. Expect 2300º events to get better and better. Eric Meek and George Kennard work together during the 2300 in November 2006. 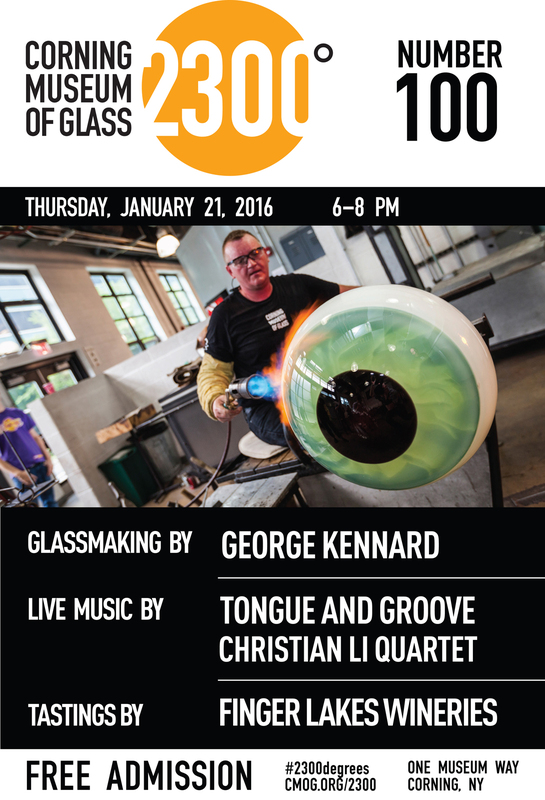 Catch the incredible performance by George Kennard and the Hot Glass Demo Team this Thursday from 6-8 p.m. Also enjoy live music by high-energy, classic rock cover band, The Tongue & Groove Band in the Auditorium, as well as the Christian Li Jazz Quartet in the Admissions Lobby. Plus, 2300° in January means free wine tastings from Finger Lakes wineries. This year, sample from 19 wineries, including Dr. Konstantin Frank’s Vinifera Wine Cellars, Atwater Estate Vineyards, Hazlitt 1852 Vineyards, and other favorites. As always, 2300° is free and open to the public.